One of the most talked-about new forecasting tools in today's international markets, dynamic technical analysis (DTA) arms traders and investors with unprecedented insights into market volatility, price changes, and market trends. DTA is also a valuable money management tool and is much easier for money managers to master than traditional technical analysis techniques. 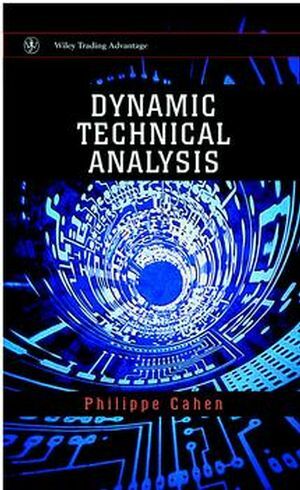 The first practical introduction to this powerful new approach, Dynamic Technical Analysis provides readers with all the tools and know-how necessary to unlock the full power of DTA. Phillippe Cahen (Paris, France) is Head of Technical Analysis for Credit Lyonnais Capital Markets in Paris. PHILIPPE CAHEN is Head of Technical Analysis at Credit Lyonnais Capital Markets in Paris. A highly experienced practitioner, he has been using technical analysis since 1970, and for the past thirty years has been regularly consulting, training and speaking at conferences, as well as lecturing on various advanced academic courses. He is the author of numerous works on the subject of technical analysis, including Analyse Technique Dynamique (Economica, 1998), of which this book is a translation. Strongly Trending Market: Parallels and Bubble. How to Take a Position. Tracking a Position and Unwinding It.